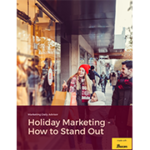 This topic provides information on both holiday and seasonal specific marketing ideas, techniques, and other relevant information. Whether you use it for marketing, to get your name out there, or just to inform or entertain, the podcast is a popular and powerful marketing tool. There are many compensation philosophies out there in the sales world—which one best fits your team? We’ll provide tips on the various approaches to sales compensation, from incentives to bonuses to rewards and recognition for your top performers.